So, I did. The education on this topic was absolutely fundamental to my understanding of disease. Most MD’s are not paying attention to the concept of all health starts in the gut. Now you can learn what the MD doesn’t know. 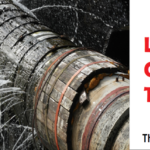 Leaky gut is a serious medical condition that allows undigested food particles, toxic waste products, environmental chemicals, and nasty bugs like viruses, bacteria, yeast and parasites to “leak” through the intestines into the blood stream. 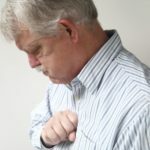 This “leaky gut syndrome” is prevalent in America and is associated with a wide variety of medical conditions and diseases. To best understand leaky gut syndrome, let’s understand what a healthy gut is. In a healthy gastrointestinal tract, the small and large intestines have lining that forms a barrier to separate the intestines from the environment. This lining is made up of a layer of intestinal cells (called the “intestinal epithelium”), which are meant to protect the gastrointestinal tract via a physical barrier. In a healthy body, this cellular layer is linked together via tight junction proteins forming a “tight junction”. Along with this defense system, there are a multitude of other immune molecules there that support the barrier. Together this specialized barrier functions to protect the digestive system and the body from entry of foreign invaders. The goal of this barrier is to create intestinal impermeability. If there are any abnormalities with this barrier or it’s helper molecules then intestinal permeability, or “leaky gut”, could result. Leaky gut occurs when the lining of the intestines has become been “damaged” in some way. Due to this barrier damage, undigested food particles, harmful bacteria, and even toxins can leak out of the intestines and diffuse into the blood stream and lymphatic system causing tissue and other damage. When there is a foreign (i.e. not recognizable by the body) byproduct that gets into the bloodstream, this can generate both local and systemic immune responses. It can also provoke an autoimmune (a response produced against the self) response in which the body produces autoantibodies against its self. Because of the heightened immune responses systemic inflammation and widespread allergic reactions can occur. Additionally, digestion comes to a halt. Leaky gut can also impede the body’s ability to make sufficient digestive enzymes, which further impairs digestion and absorption of nutrients. While leaky gut typically starts in the digestive system, it can affect all aspects of health and has been linked to a myriad of chronic diseases1. The symptoms of leaky gut are shared by other disorders. Leaky gut tends to be a root cause problem in many disorders, one that conventional doctors aren’t treating. Take our leaky gut test to identify if you are suffering from the disorder. You’ll discover your level of intestinal permeability and what your immune response to wheat and gluten (common allergens) is. How do you develop leaky gut? Essentially, many factors work in combination to wreak havoc on the barrier lining of the intestine to create leaky gut. The tight junctions in the gut are there to control what passes through it. These factors (listed below) can all result in poor digestion and loss of healthy gut flora. When good bacteria diminish and pathogenic bacteria flourish, it can trigger a breakdown of the gut lining. When this barrier becomes permeable, bad things can start to happen. Research has suggested that the gut microbiome is key to regulating the intestinal barrier lining and gut permeability1. If there is a high level of pathogenic bacteria and a low level of good bacteria, problems arise. 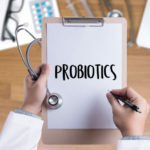 In fact, several studies have shown that administration of probiotics can actually reverse leaky gut by enhancing tight junctions1. It is thought that one of the main mechanisms behind this is the influx of good bacteria, which pushes out the bad guys, and ultimately aids in gut repair. There are specific foods that can feed pathogenic bacteria and destroy the gut lining such as refined sugar. There are also foods individuals can be sensitive to (i.e. gluten, soy, or dairy) which can generate an autoantibody event in the body causing further stress. Additionally, a low-fiber diet has been found to contribute to an increase in the strains of pathogenic bacteria that are able to degrade the barrier integrity1. When you are low in stomach acid or digestive enzymes, this can impair normal digestion and absorption of nutrients in the small intestine. Improperly digested food can compromise the gut lining through regular wear and tear. Alcohol is a known toxin and irritant to the body. In fact, the body handles alcohol as a toxic substance and gives it first priority in the digestive system. This means that excessive alcohol intake can also impede normal absorption of nutrients, which further impacts the health of the gut. These are all toxins that can harm the gut barrier lining. They can also destroy good microbes, which in turn, increases the accumulation of pathogenic microbes. Essentially, they “sterilize” our gut ecology, or microbiomes. A healthy gut microbiome needs diversity with a variation of beneficial bacterial strains. 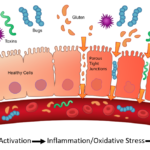 Chronic stress produces ongoing inflammation and damages gut health. Additionally, stress can cause increases in cortisol production, which leads to further systemic inflammation in a continuous cycle. Stomach infections such as H. Pylori can interfere with the structure and function of the intestinal barrier lining, specifically by damaging tight junction proteins and causing widespread inflammation. Antibiotics are anti-everything. They’re meant to kill the bad, the good and everything in between. While there is excessive use of antibiotics as medication, they’re also found in meats and eggs that are conventionally raised. What are the steps to heal the gut? A leaky gut diet starts with eliminating harmful, reaction-triggering foods and toxin exposures from the diet. Foods that can trigger an inflammatory reaction in the body can vary for people. Typical ones include gluten, soy, dairy, refined sugar, processed foods and alcohol. The first step is to cut these foods out. Next, you’ve got to add healing foods back in to replace the foods that are eliminated. Then you have to rebuild your gut flora and reduce stress and inflammation. What are the most healing foods to the gut? This is rich in protein and gelatin to restore the lining of the gut barrier. The amino acids in collagen and gelatin proteins can help to repair the tissue lining the intestines in a “heal” and “seal” manner. Bone broth is also high in compounds that fight inflammation and boost good bacteria. Additionally, it is highly nutrient-dense and soothing to the digestive system. Fermented foods are full of beneficial bacteria to help degrade pathogens and keep them from harming the gut. The influx of good bacteria is favorable to allow gut healing to take place. Coconut oil has a unique fatty acid called lauric acid in it. This fat is anti-microbial and anti-fungal and can aid in normalizing bacterial populations in the gut. It is also great for fighting off inflammation. Avocados are another great fat source for gut healing. Grass-fed beef is rich in the amino acid glutamine, which research has found to be one of the best tools for reducing intestinal permeability2. Glutamine is the preferred substrate for the cells lining the intestine. It works with other critical amino acids (like those found in grass-fed meat) to enhance the structure and function of the cells.Pasture-raised meats are also rich in anti-inflammatory fats along with essential vitamins and minerals for gut health. Omega 3 fats, such as those found in wild-caught salmon, have been shown to fight cellular inflammation, which protects the barrier lining. Fish are also a protein-rich food high in the amino acid glutamine, which has been shown to repair tight junctions. These are full of healthy fiber to fuel the growth and colonization of healthy microbes. The fiber helps the large intestine repair and replenish. Leafy greens are also rich in antioxidants, which fight inflammation and oxidative stress. This is a good source of resistant starch (that is low-glycemic) in root vegetable form. Resistant starch is resistant to digestion and makes its way to the colon where it acts like fermentable fiber (prebiotic) to serve as food for the bacteria colonies in the large intestine. Consumption of resistant starches has been shown to increase growth of beneficial bacteria species along with production of key digestive hormones3. These are full of fiber to fuel the growth of healthy microbes in the large intestine. Spices such as turmeric and ginger are highly anti-inflammatory, can ward of pathogenic bacteria and soothe the gut. Above all- go organic, gluten-free and soy-free to protect the integrity of your gut lining and support gut health. Understand what works best for you. The Paleo diet is great for the gut as it is highly anti-inflammatory. What does a leaky gut diet look like? If you’re on a leaky gut protocol, here is a daily sample menu (with recipes) of what you could eat. This menu reveals key foods that support gut healing and overall health as a part of the leaky gut diet. Breakfast: Healthy Gut Smoothie (Throw some of our quality beef, collagen-boosting protein powder in there for a full-force gut healing drink). Snacks: Sip on protein-rich, healing bone broth as a snack! Get some sprouted nuts for your mid-break snack. Or if feeling fizzy, grab a cold, local kombucha for your afternoon beverage. You can also make your own immune juice to help the healing process along. This makes an excellent meal replacement or midday snack. It assists with gentle detoxification, supports gastrointestinal health and has a high level of antioxidants to reduce inflammation. It is also a soothing protein powder for those with food sensitivities. Prebiotics are different types of non-digestible fibers that stimulate the production of short chain fatty acids (like butyric acid) in the colon. They are the food that feeds the good bacteria in your gut. Prebiotics have been found to decrease intestinal permeability. This product is a source of actual butyric acid, or food fuel, for the large intestine cells that help to promote growth of good bacteria. 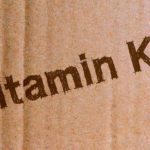 It also contains other key nutrients to aid in absorption and repair. This is our potent probiotic with 4 different evidence-based strains to support gut repair and health. We also have a 100 billion CFU probiotic available to support gut ecology changes. Probiotics have been proven to decrease intestinal permeability and ward off harmful pathogenic bacteria1. This product is geared at supporting the barrier lining. It has a unique blend of nutrients and the key amino acid, glutamine, to aid in healing the gut lining and decreasing overall inflammation. Gut Repair is our immunoglobulin support to heal leaky gut. It helps to rebuild the intestinal cells and boost their function within the gut lining to increase gut health and tissue repair. This is a powerful but gentle formulation of digestive enzymes and hydrochloric acid to aid in proper digestion and absorption of nutrients as you work to heal your gut. One study showed that in patients without sufficient vitamin D the result is increased intestinal permeability and an exacerbation of autoimmune symptoms4. You’ve got to beat the stress to support hormonal balance and reduce inflammation. Getting adequate sleep each night is imperative for the body to restore itself and boost immune function. Eight hours of quality sleep each evening. Sometimes, diet alone is not enough to be healthy. Use scientifically- proven supplements to support you wellness goals. Get adjusted to help fight inflammation and increase immunity.